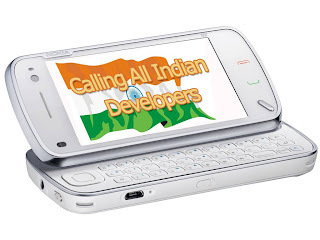 A new report by analyst mobileSQUARED 'India: Birth of a mobile content superpower 2009 – 2013' forecasts that the market will be worth $835.78 million in 2009, but will virtually triple by 2013. The Indian mobile market consists of more than 400 million mobile subscribers, but is growing at 15 million new connections per month and will hit 700 million subscriptions by the end of 2010. This is fuelling huge new revenues despite delays in the roll out of 3G. The primary sources of revenue in the market are from ringback tones, ringtones, graphics, wallpapers and mobile games with the RBT market constituting the largest single area of content. Licenses for 3G spectrum are not likely to be issued until late 2009 after a series of delays by the Telecoms Regulator of India (TRAI). 3G will be essential to the development of value-added services market by reducing barriers to entry for the mass market, according to the report. To put this into perspective, even if just 10 per cent of Indian consumers take up 3G over the next decade there will be more than 100 million next-generation mobile users on the sub-continent. The 56 page report is available for purchase from mobilesquared.co.uk fro. £300 plus VAT.